Is a medical test commonly performed by a surgeon, interventional radiologist, or an interventional cardiologist involving extraction of sample cells or tissues for examination to determine the presence or extent of a disease. 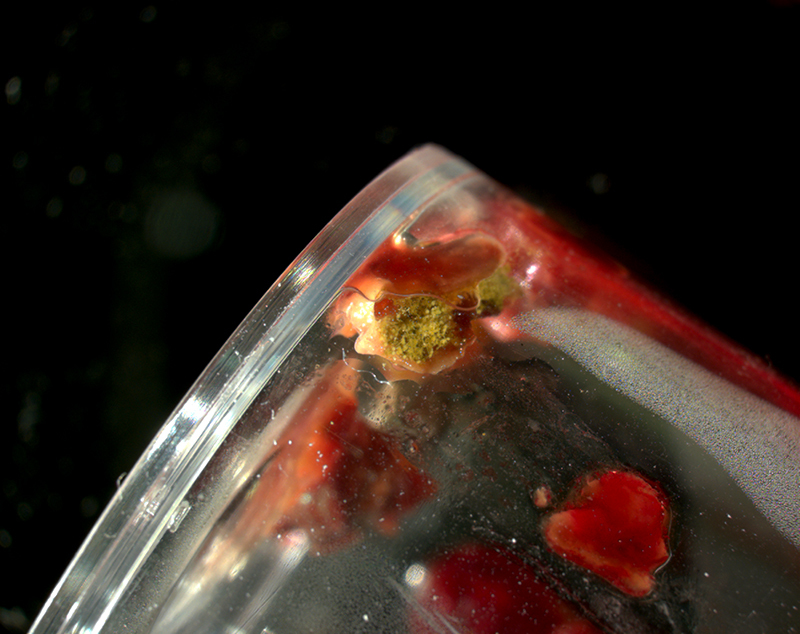 The tissue is generally examined under a microscope by a pathologist, and can also be analyzed chemically. 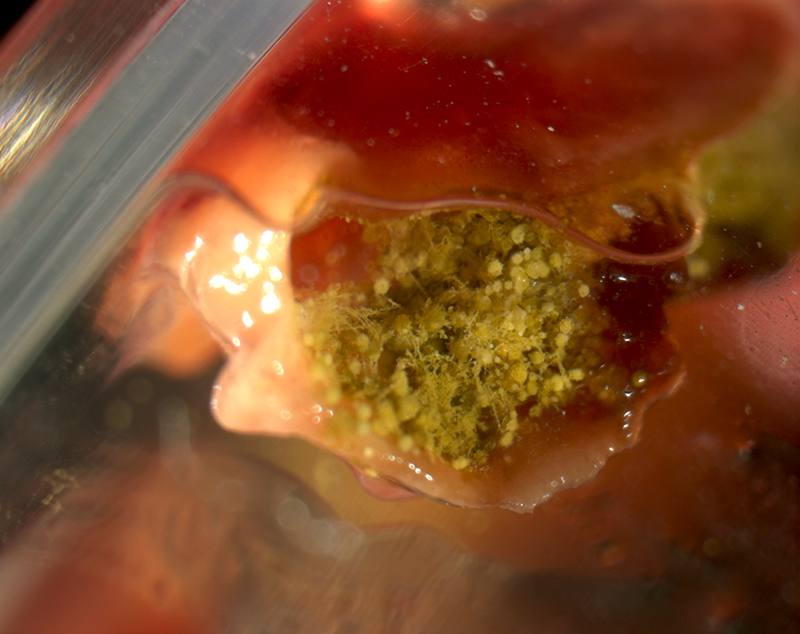 When an entire lump or suspicious area is removed, the procedure is called an excisional biopsy. 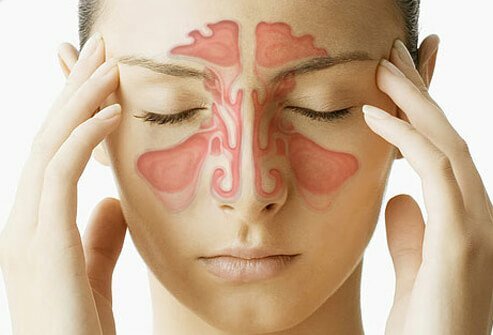 Also known as a sinus infection or rhinosinusitis, is inflammation of the mucous membrane that lines the sinuses resulting in symptoms. Common symptoms include thick nasal mucus, a plugged nose, and facial pain. Other signs and symptoms may include fever, headaches, poor sense of smell, sore throat, and cough. The cough is often worse at night. Serious complications are rare. It is defined as acute sinusitis if it lasts less than 4 weeks, and as chronic sinusitis if it lasts for more than 12 weeks. 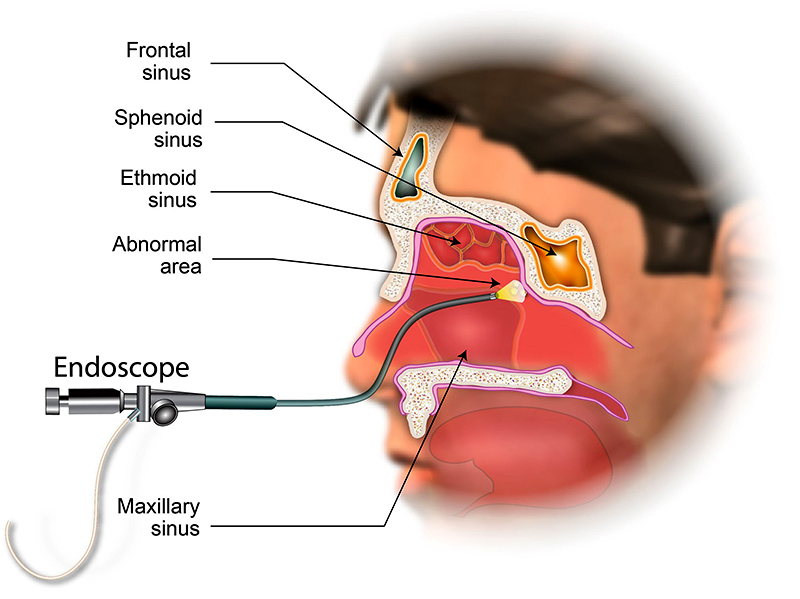 Sinusitis can be caused by infection, allergies, air pollution, or structural problems in the nose. Most cases are caused by a viral infection. A bacterial infection may be present if symptoms last more than ten days or if a person worsens after starting to improve. Recurrent episodes are more likely in people with asthma, cystic fibrosis, and poor immune function. X-rays are not typically needed unless complications are suspected. 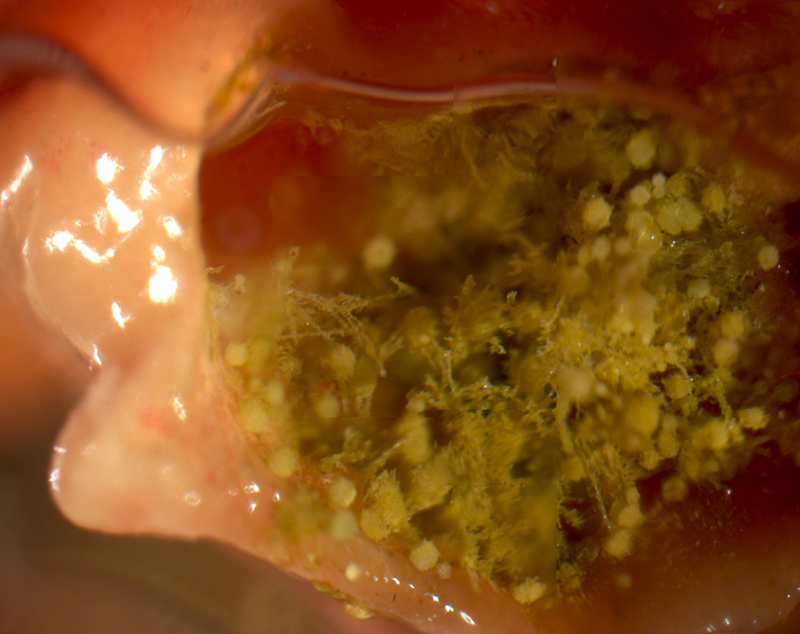 Is a saprotrophic and pathogenic fungus with a cosmopolitan distribution. 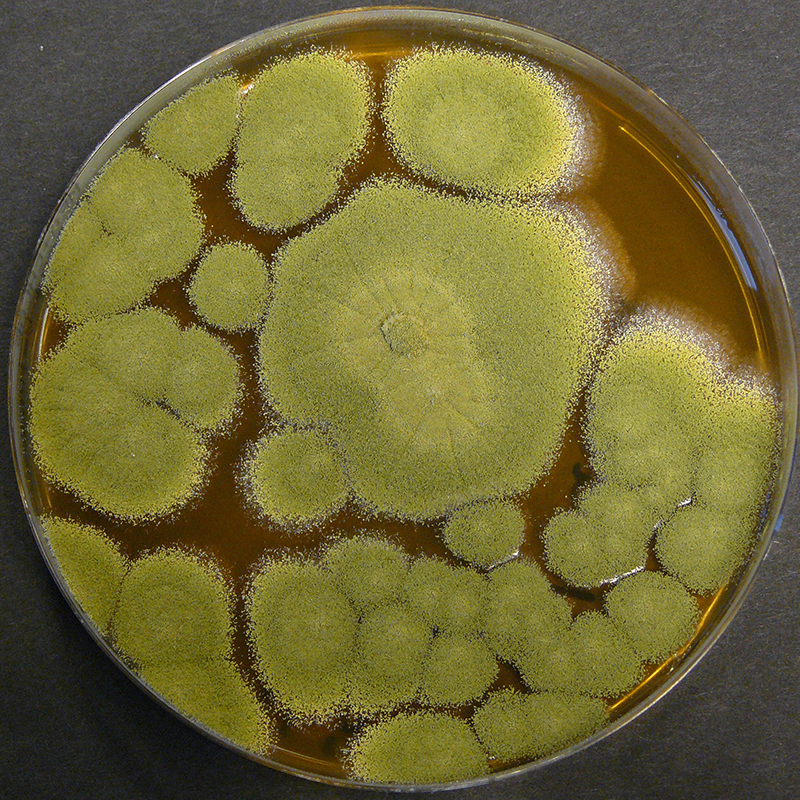 A. flavus is also an opportunistic human and animal pathogen, causing aspergillosis in immunocompromised individuals. 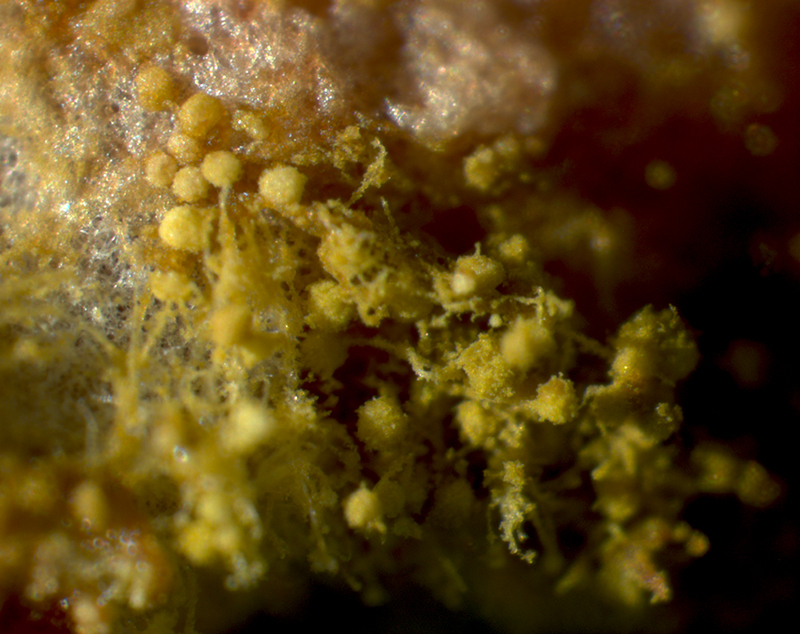 Aspergillus flavus colonies are commonly powdery masses of yellow-green spores on the upper surface and reddish-gold on the lower surface. 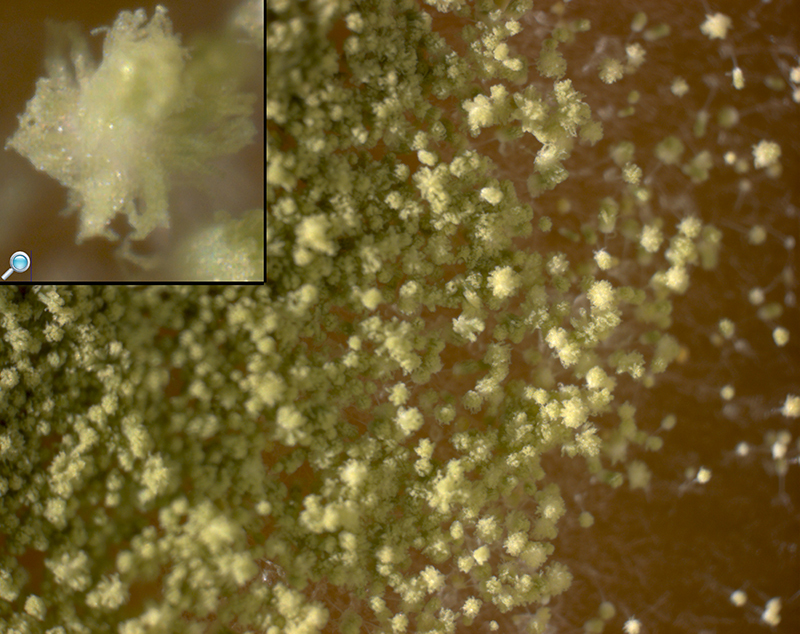 Growth is rapid and colonies appear downy or powdery in texture. 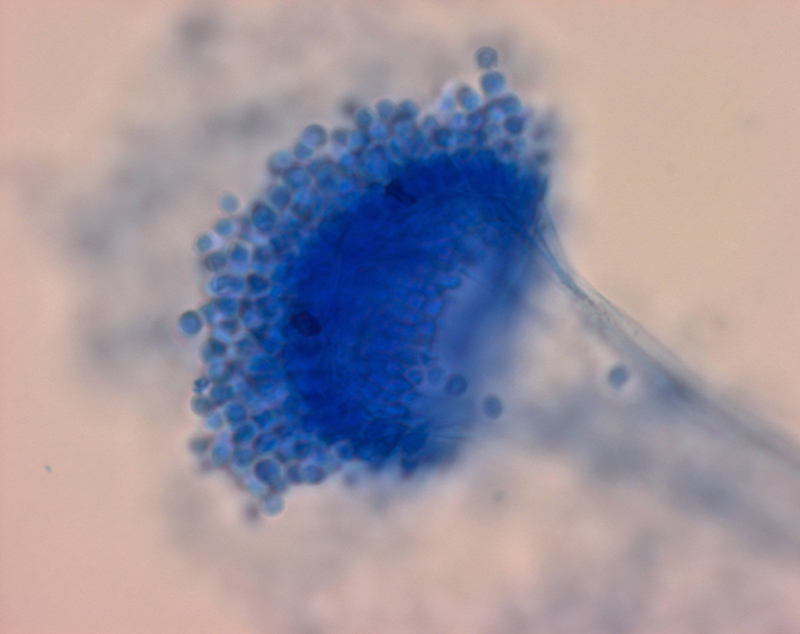 Hyphal growth usually occurs by thread-like branching and produces mycelia. Hyphae are septate and hyaline. 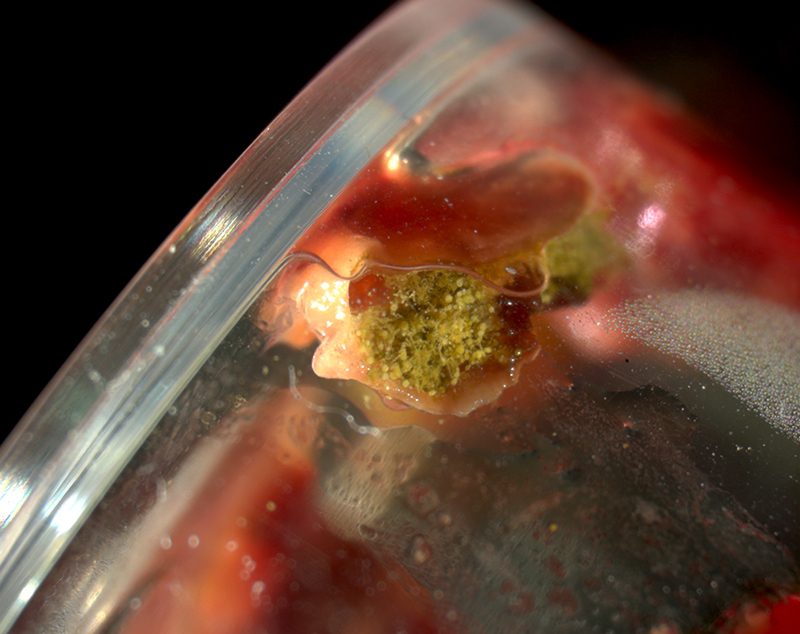 Once established, the mycelium secretes degradative enzymes or proteins which can break down complex nutrients (food). 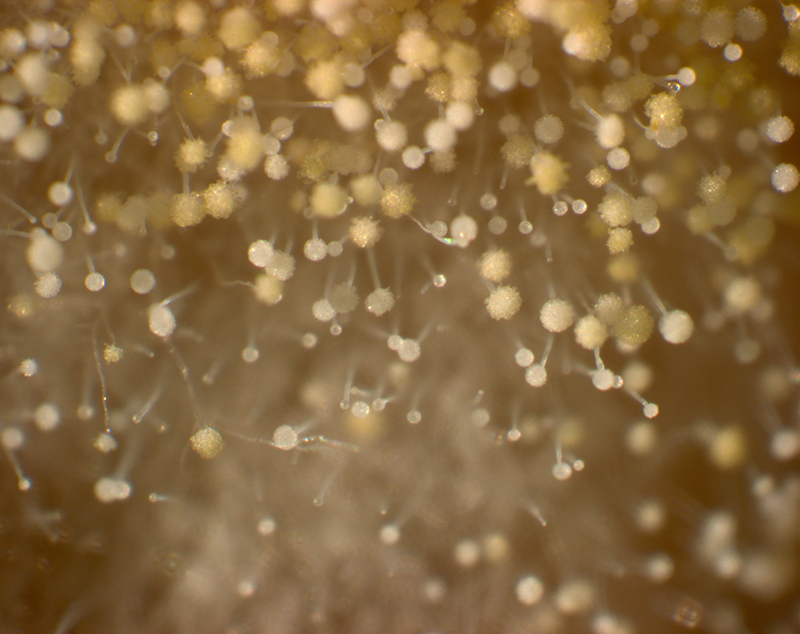 Individual hyphae strands are not typically seen by the unaided eye; however, conidia producing thick mycelial mats are often seen. 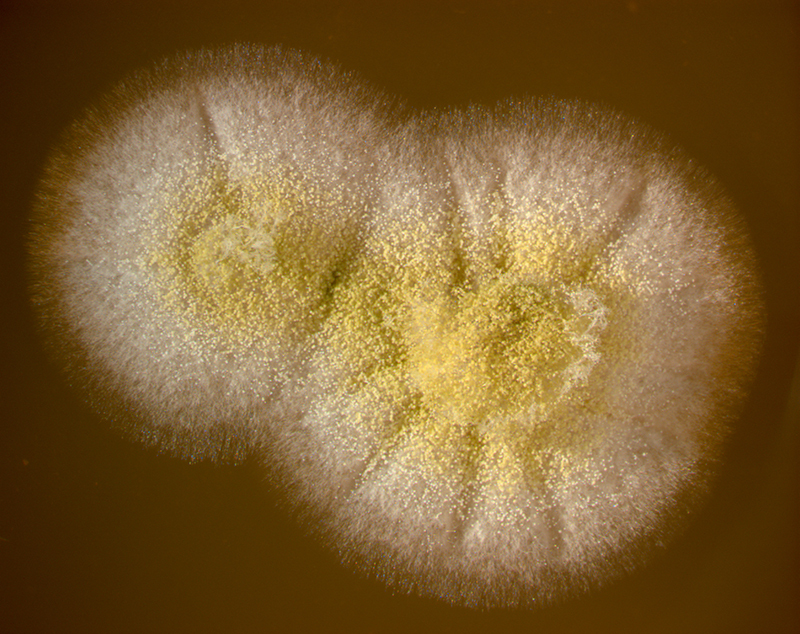 The conidiospores are asexual spores produced by A. flavus during reproduction.